The weather was a bit warmer and the sun was shining--all making for a very good and busy afternoon of activity at the Pantry distribution on Sunday, February 3. I want to thank Steve from Old Dog Baking for supplying two dozen loaves of his wonderful bread--with promises for more in the future. The "shutdown" emergency is over for the time being, so no Coast Guard neighbors presented themselves for vouchers. Thanks to our volunteers adding their good spirit and caring to the occasion. In the way of numbers to compliment the good spirit we distributed $14,480 in vouches to 337 neighbors--that's 250 adults and 87 children representing 185 households. We registered 6 new households with 10 members. We are blessed by this ongoing work of caring and compassion that has been sustained now for 28 years. We live in a wonderful neighborhood! The next distribution will be Sunday, February 17, 12 Noon to 1 PM, in Harbor House. 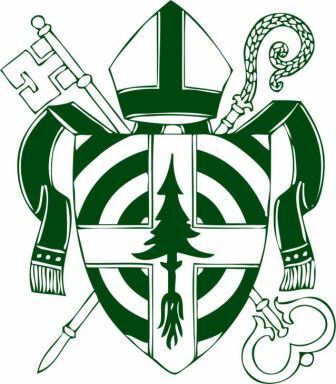 God of Grace, we give you thanks for all the blessings of our common life and ministries as the episcopal Diocese of Maine. We thank you for the faithful work of the Discernment Committee and for all who have offered themselves to your service in this season of change. May the Holy Spirit continue to bless the Transition Committee, and to infuse this process with the gifts of faith, hope and love. We give thanks and pray for Anne, Janet, Ken, Rachel, and Thomas. May they be filled with vision, courage, patience and hope as our work of discernment continues. In Christ's name we pray, Amen. Tom Lee, Carroll Fernald, George Swanson, Richard Ramsdell, Mike McFalls, Cassandra Crabtree, Beth Pfeifer, Eric Lange, Dorothy Clunan, Anne DeGolyer, Jim Risser, Bill and Barbara Loveland, and Win Short.